1. Junior high school students and above are available. 2. We do not assume any responsibility for accidents while using this service. * We accept from the beginning of May to the end of October in the usual year. There is no plan to be closed for the time being. * Once a holiday is decided, we will announce it on our website. “Please apply by phone or email. 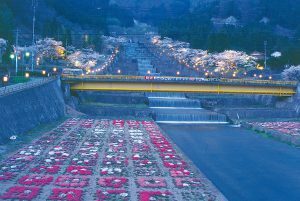 “Advance reservation is also possible. ・Please come to the reception desk. For the location of the reception desk, please refer to the following. ・On Sundays, we accept applications only if you wish to use the day. * We do not accept reservation applications at reception desk on Sundays. 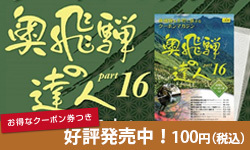 ・If you apply by e-mail, we will accept the reservation up to 2 days before the date of use. * Whichever application method you use, we may not be able to accept it depending on the usage and reservation situation. Please be forewarned. 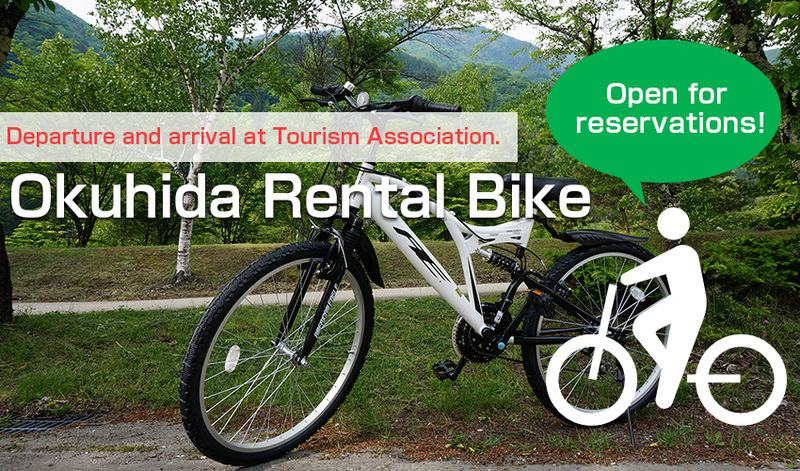 Please come to the reception desk of Okuhida Onsenkyo Tourist Association (departure and arrival place) before use hours. (Reception hours: 9: 00-13: 00). 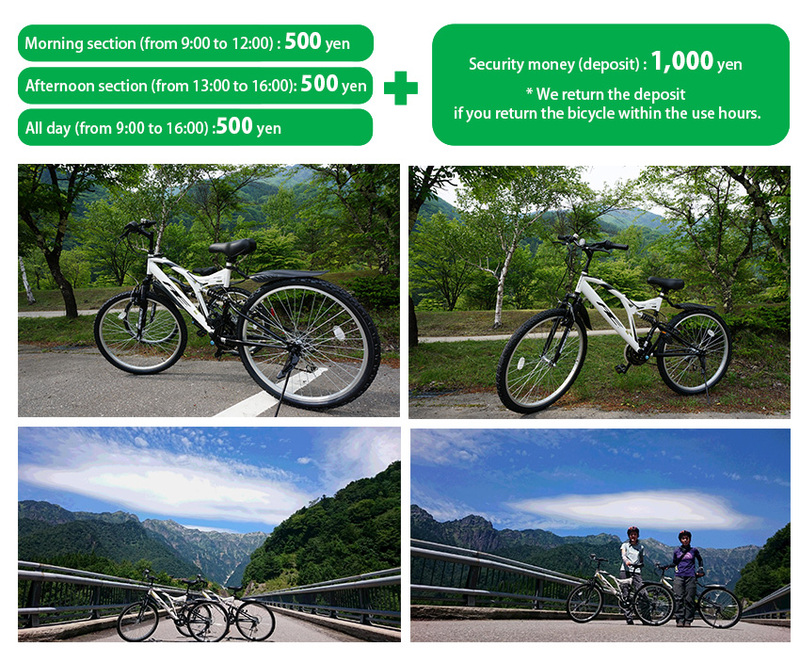 * We return the deposit if you return the bicycle within the use hours.